Home valentine special22 DELICIOUS MOUTH WATERING CUPCAKE INSPIRATIONS FOR THIS VALENTINE…. SURPRISING your loved one on Valentine’s Day by getting them some delicious cake or cupcake is a great idea .. ITS not a must to make the cakes or cupcakes at home ,we can always buy from those stores that can make some sweet treats according to your wishes.GODFATHER STYLE has collected a range of delicious cupcakes designs that will blow your mind off & will really help to impress your partner . HEART is a must design & it has to be used for every dessert we make to keep the love spirit on . 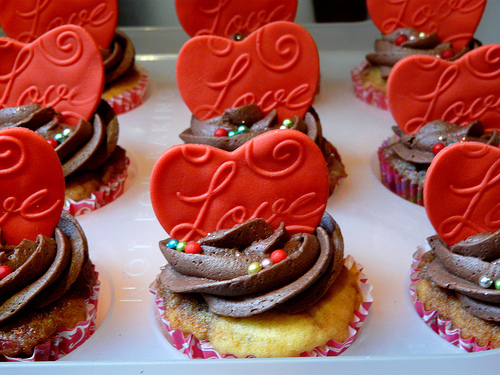 For instance there are some heart-shaped cakes or cupcakes, or they can have a heart topper. Another symbols that can be used are kisses, love letters, flowers etc. HAVE A LOOK below to see our collection and get an inspiration for how to surprise your loved one on the most romantic day of the year. HAPPY VALENTINES DAY .HAVE FUN.